Took me a couple months to give these products a true test. Pacific Health Labs were extremely generous and I really wanted to put the products they sent through a complete evaluation process. Having enough, I was able to stack them when necessary to see the true benefits. Pacific Health Laboratories, founded in 1996 by two prominent scientists, started with a singular purpose – to help athletes achieve their personal goals. We never lost sight of that mission. Collaborating with some of the world’s top nutritionists, biochemists and sports scientists, our research and products have reshaped sports nutrition. Our discoveries help muscles work stronger, faster and longer and are an integral part of the daily training and race regimens of athletes at all levels. 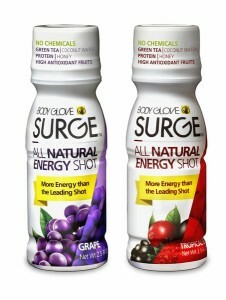 Let’s get into it with the Body Glove Energy Shots. These look a lot like 5-Hour Energy drinks because in theory, they are. Of course they are exclusive to Pacific Health, and their team came up with the concoction, but the idea is the same. When you need a pop of energy it’s simple, open the top, slam it back and wait. The rush that comes on is clean and non-jittery. For whatever I was doing, whether it was a work-out, a run or headed off to work with a sleepy head – these shots made a difference. Loaded with 140mg of caffeine I sure as hope they would have!! Without the jitters, and not feeling like I was completely tweaked out I could focus and get done the things I set out to do. Next up we have some gels. At this point I have tried a variety of different gels from a multitude of companies. Some are really thick, some to runny, some are just outright gross! 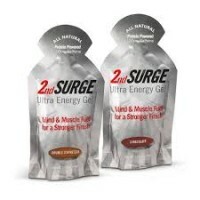 Pacific sent a variety of flavors of their standard gels and a pack of their 2nd Surge gels which were chocolate espresso flavor. The latter was absolutely amazing. Let me stress that, ABSOLUTELY AMAZING. The flavor was fantastic and the boost was spot on. Consistency was great, nice and smooth and not gritty or to watery. Easily you can take these out of a pack, open them and squeeze em all while running or staying in motion. The flavor variety pack was great and came in chocolate, key lime, citrus orange, raspberry cream, strawberry kiwi and vanilla. The only one I really couldn’t get on board with was the orange which was kind of acidic. I loved the key lime and it was probably my favorite, besides the 2nd Surge chocolate espresso of course! They sent a bar too, the Accel Recover Bar. They reminded me of a brownie bar. Nice and thick, not extremely dry which happens a lot with packaged bars. They were amazingly nourishing and I felt full after a run or workout. rather than down a recovery drink I had these bars with a glass of water and felt more than happy with them. These are not meal replacement bars, or breakfast bars, they are meant to be eaten after exerting yourself ie. a workout, a run or any other sort of physical activity. They are for recovery and having had a bunch of them, felt like they achieved their goal. I do not have the science to prove it, they are the scientists, but what I can do, and am talking about here, is based on experience. 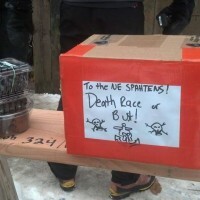 Some of the products, such as the gels and bars, even made their way to the Winter Death Race via the Spahten Express. I had put some gels in, bars, energy shots and some Accelerade in the care package. 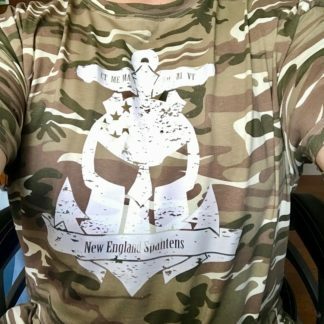 Keith Glass, Death Race veteran, had this to say “I consumed everything they (the Spahten volunteers) put in front of my face. They were fantastic… Gels were great on the trail, instant energy boosts…” Death Race tested, Death Racer approved! • You will have 29% more endurance. • You will rehydrate 40% better. • Your muscles will recover 40% faster. • You will lower your perceived exertion. It comes in a variety of flavors. 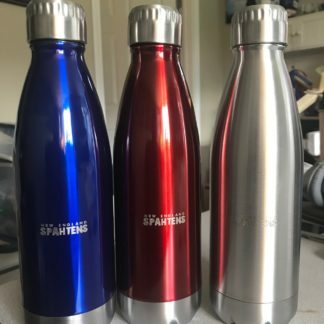 Besides mixing in a bottle it can be added to a bladder and I did just that many times in my hydration pack for long runs. 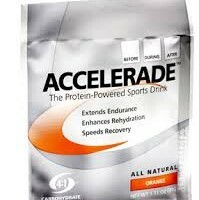 With Accelerade added I felt like I could run longer, and did. My longest run to date came when I had this in the pack. Take that for what it’s worth. 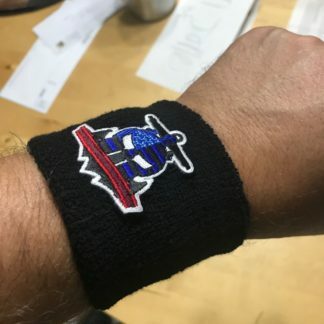 Thanks Nate! I will do that, cause I have a hard time locating it around here.